Double thick and built to last! 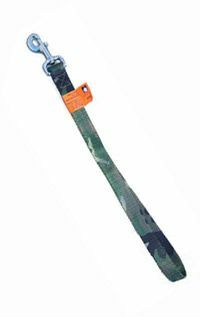 This 20" traffic style dog lead is constructed of 1” wide double thick nylon in a woodland camouflage pattern. The brass hardware is non-corrosive and will provide years of service. This is the matching lead for Camo Safety Collar or Camo Hunt Collar.